Going west from Brainerd and Crow Wing County, passing through the southern end of Cass County, we come to Wadena County (pop. 13,843). 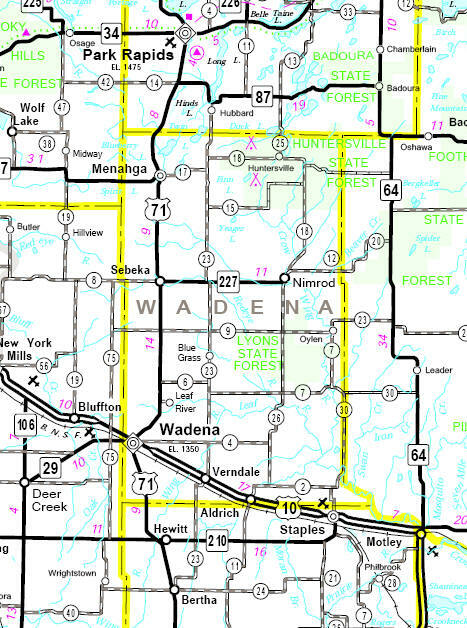 Wadena County and the county seat of Wadena (pop. 4,088) were named for Chief Wadena, an Ojibwe chief of the late 19th century. 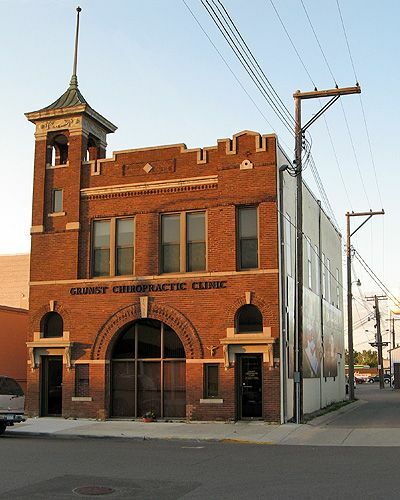 The City Hall and Fire Department building in Wadena was built in 1912 and later became a chiropractor’s office. 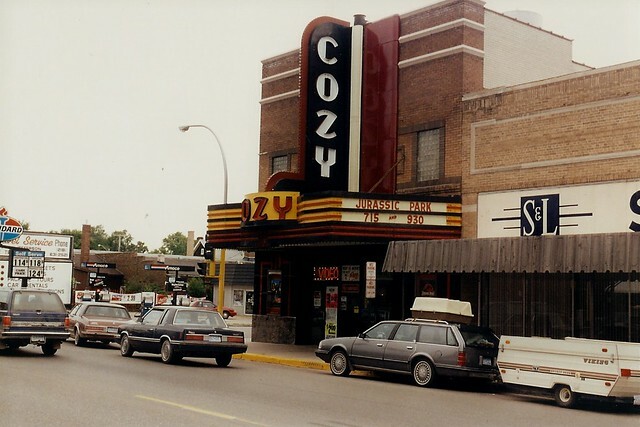 The Cozy Theatre in Wadena opened in 1914; the marquee was added in 1938. It now shows first-run films on three screens. There’s another Cozy Theatre in Schulenburg, Texas. 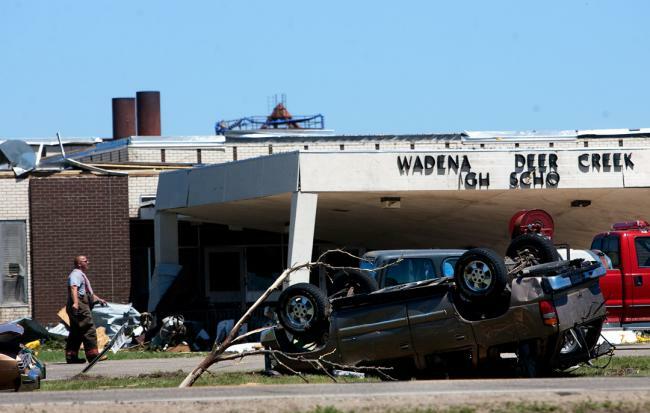 In June 2010, Wadena was hit by a tornado that destroyed or damaged more than 200 residences but caused no fatalities. The Wadena-Deer Creek High School was destroyed, and students spent the following two years in temporary quarters. A new high school opened this fall. The town of Staples (pop. 2,981), named for a family that had a lumber business in the area, is in both Wadena and Todd counties. Staples is one of six Minnesota stops on Amtrak’s Empire Builder train, which travels daily (in each direction) between Chicago and Seattle-Portland. The town of Menahga (pop. 1,306) – the name means “blueberry bush” in the Chippewa language – was the hometown of the comic book artist Wallace Wood. From an early Mad magazine. This entry was posted in Minnesota and tagged Cozy Theatre, Menahga, Staples, Wadena, Wadena County, Wallace Wood. I need to take that empire builder sometime.